If like me, you are often stuck for what to buy your loved ones for Birthdays, Anniversaries or Christmas, why not consider buying them an Experience Day Gift Voucher? There are lots of fab experience days on offer including spa days, pamper days, driving & flying days, adventure days and lots more. For the foodies, there are also some wonderful Gourmet days on offer. Foodie days include a wine tour and tasting, chocolate making workshops, a Thames lunch cruise for two, Thai and Indian cookery courses, dinner and afternoon tea packages for two at various hotels and lots more. 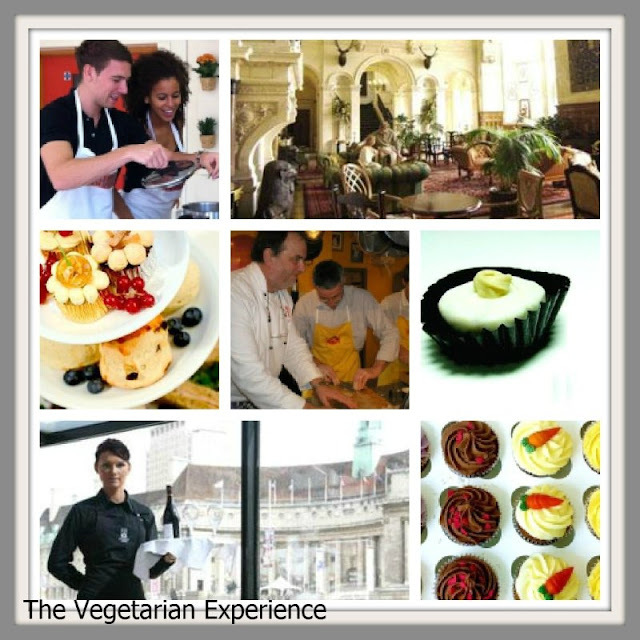 There is also an African Vegetarian cookery course which sounds rather wonderful for the fellow veggies. Whatever your recipient is into, they will be able to find something to suit their tastes on this website. I think that this is a fab way to ensure that the person you are buying for gets something they like! Disclosure: I was offered an £50 experience voucher for Afternoon Tea for two for writing this post.